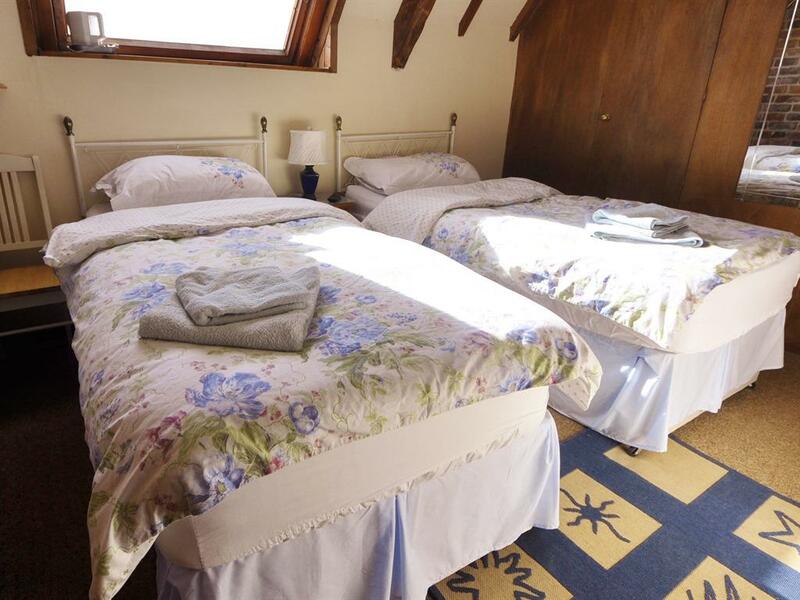 A comfortable double ensuite room, each room is finished to a good standard a little on the small side but this is a barn not a victorian house and equipped with the facilities to ensure a comfortable stay. 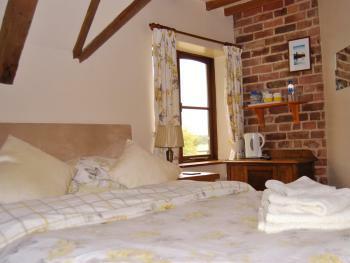 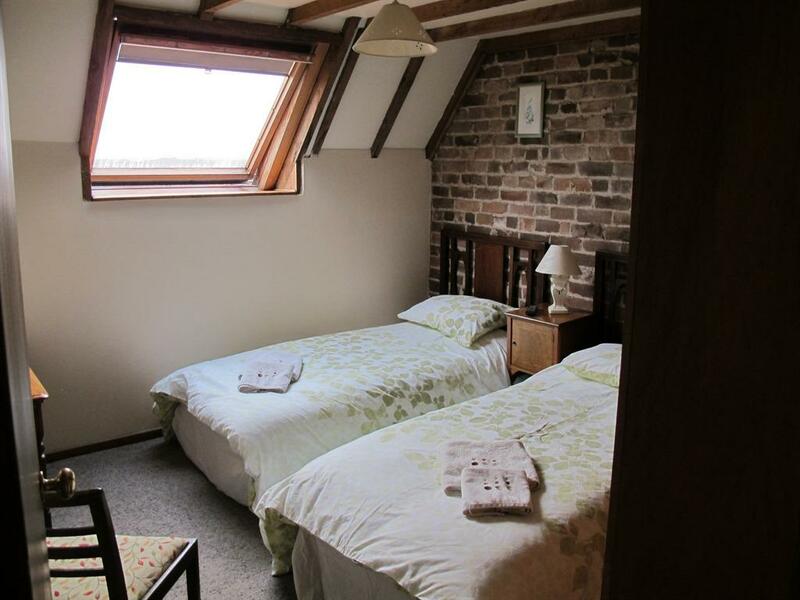 A comfortable twin ensuite room, each room is finished to a good standard a little on the small side but this is a barn not a victorian house and equipped with the facilities to ensure a comfortable stay. The rooms are rustic in nature, with exposed brickwork and beamed ceilings, and large duplex windows with stunning views of the farmyard paddock and over to the full range of the Malvern Hills. To add to the overall comfort of the room, it is equipped with tea and coffee making facilities and a small flat screen TV. 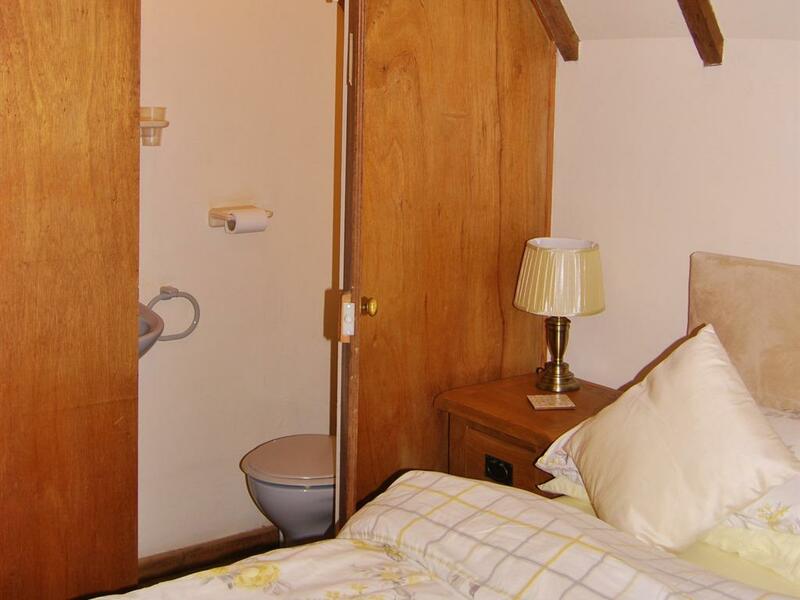 The en-suite is ingeniously concealed, and provides a toilet, basin and walk in power shower.